Having inveigled himself into my affection during our 29th December 2015 meeting, Sen. Orji then put a call across to me on Wednesday 27th January 2016. He drew my attention to a documentary by Dr. Alex Otti and APGA on AIT. It dovetailed how he intimidated Selina Okoh to reverse the canceled Obingwa, Isialangwa North/South results. He was barely eight months in the Senate and was subjected to assortment of spiteful taunts. With the prospect of PDP getting favorable Supreme Court judgment still iffy; flaccid and pedestrian rebuttal wasn’t an option. He wanted a perlocutionary rebuttal. It was an undemanding decision for me having reconciled our differences in December. But the challenge was whose signature will be appended to the rebuttal. I initially refused to sign but because I was in Lagos and he in Abuja, he appealed to me to do so since it must be given to the Nation Newspaper before 4pm for publication next day. As I shilly-shallied, he reassured me of his capability and urged me to resign and consider the media adviser offer on the table since 2015. He swept me off balance with several enticing words embroidered with consanguineous sentimentalism. I would have been considered a misanthropist if I had rejected his appeal any further. At that point my heart was softened and I truckled to his demand; left my bastion to a voyage that would turn me a victim of political grudge. That act of solidarity (appending my signature to the rebuttal) instantly took away the shine off my weekly column in New Telegraph popularly known as ‘Banters with Don Norman’. My readership reduced significantly and most of them texted to register their discontentment. I had not only risked the wrath of my readers but also the management but felt satisfied making such sacrifice for Ochendo even without receiving a dime, a written agreement or assurance if sacked. Yet resentfulness could not allow him take note of my sacrifice. To him it was a payback time. Having given him the rebuttal he craved for he requested that we meet in Umuahia the next month being February for the craic. But we never met until Sunday 27th February 2016. He had called me on Tuesday 23rd February to inform me of an interview by Chief B.B Apugo published in Sun Newspaper of Monday 22nd February under the headline: B.B Apugo Bombs Ex Gov T.A Orji Again. He wanted another strong worded right of reply and also discussion on terms of agreement. When I arrived at Umuahia, we met on Sunday and after extensive negotiation, we settled for N700, 000 monthly package. The N700, 000 was to take care of my salary, data bundle, (N36k), 10 copies of newspapers daily, (N60k) online publications, (N40k) hotel accommodation flight tickets and data gathering, (N200k). These expenses leave me with N364k. But his assurance of improved package if I proved my competence spurred me to action. Needless to tell you how effectively I managed Ochendo from my salary without single Kobo designated for the office of a media adviser for journalists or any other emergency. The only responsibility he accepted was to provide money for right of replies. On job security, he assured me of his first four years at the senate, which was acceptable to me because I had no plan to work for him beyond May 29, 2019 because I planned to concentrate on my PhD programme thereafter. Leveraging on the cordiality thereafter Ochendo pressurized me to shutdown The City Reporters – a viable news website- that generated $1, 000 monthly from Google alone with a promise to compensate me adequately. His reason was to ensure that detractors do not lift negative stories against him from it. It was a difficult decision but I shutdown The City Reporters to demonstrate solidarity and loyalty. I also spoke to few online editors close to me to step down every negative story on Sen. Orji and also not give prominence to new ones. Not until resumption that I realized the enormity of my assignment. It was sacrilegious to mention Ochendo on social media. Having analyzed the trend, I had to quickly come up with a planned action. But it required extra cost but Ochendo wouldn’t have any of that. To ensure the successful execution of the strategy forthwith, I employed 12 man online media team led by Ugochukwu Ezenwa and paid them N120, 000 monthly from the N364k left after expenses. That left me with N244k but I was never bothered. On my appointment letter, he said I will pick it up whenever I come to Abuja. But he kept making excuses even when I told him that I needed the appointment letter to open a salary account. He kept dribbling me because unknown to me, he had clandestine motives. I reminded him that his decision was a breach of contractual agreement and insisted that it must be rescinded because that will leave me with N44, 000 at the end of the month. I refused to accept it but then had to dissolve the media team. I however maintained quality P.R.O in order not to give him reason to effortlessly fulfill his desire. His character towards me changed. His security aides surprisingly, no longer allow me access to him when he was in Umuahia. We hardly communicate. In fact Piro Siro was the one notifying me of outings and engagements through Whatsapp. I knew trouble was brewing on the horizon but I was looking for a silver lining. At first I thought it was a shavie and sought for reconfirmation from him. I almost got a bit cuckoo on realizing how I had been played for a fool. He knew what he did. It is absolutely impossible to operate with N250, 000. To him, he has fulfilled his long awaited desire to have his revenge on me. 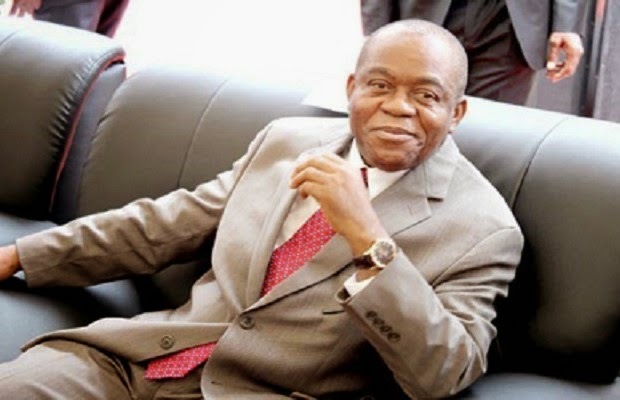 After all, he had tricked me to shutdown The City Reporters-my means of livelihood-; truncated my media career because I cannot go back to New Telegraph due to his constant media war with Orji Kalu that kept me at the center of the battle. I knew it was time to say goodbye and I actually did. But then I had lost $22, 000 for the 22 months I worked for him. I needed him to keep to his promise of compensating me as agreed and also pay me what was agreed. But then something unbelievable happened. … Something that will shock you to the marrow!